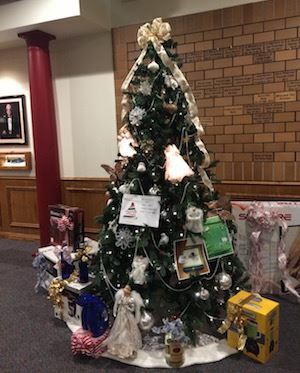 This package includes 4 admissions to the 2017 Feztival of Trees ($8 value) plus two raffle tickets ($2 value). When you arrive, tell the greeter inside the main (south) entrance that you purchased your tickets online and they will get them for you so you can skip the line! 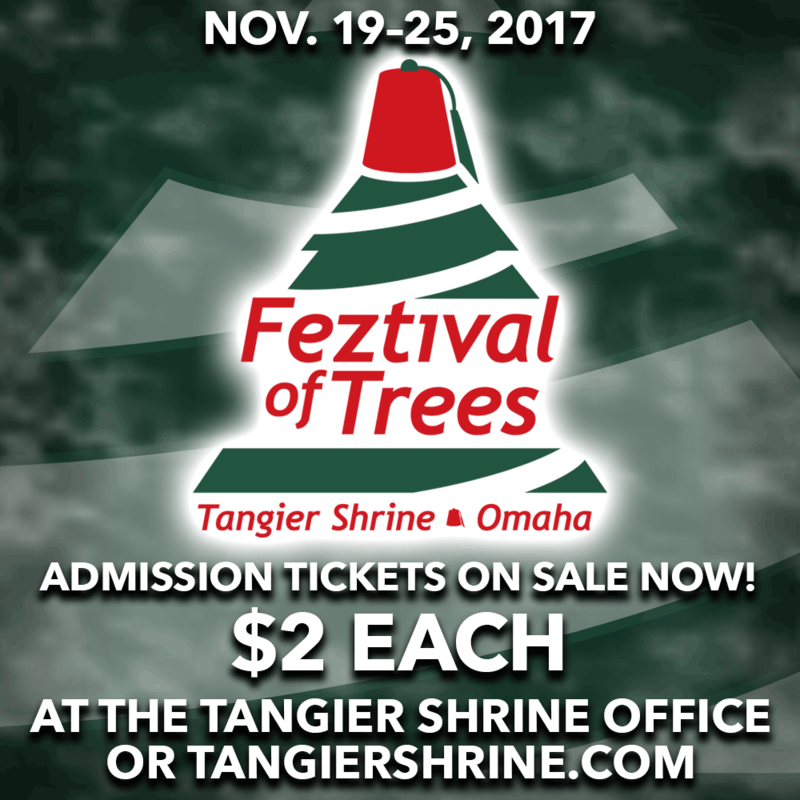 Individual weeklong pass for one person for the 2017 Feztival of Trees. $7 per person gets you unlimited access! Come join us for a magical time! Enjoy the trees, the cookies and visit Santa. Sunday Nov. 19 12 p.m. to 6 p.m.
Monday Nov. 20 10 a.m. to 9 p.m.
Tuesday Nov. 21 10 a.m. to 9 p.m.
Wednesday Nov. 22 10 a.m. to 9 p.m.
Friday Nov. 24 9 a.m. to 9 p.m.
Saturday Nov. 25 9 a.m. to 9 p.m.
Tickets are available for purchase NOW at the Tangier Shrine Office between 8 a.m. and 5 p.m., Monday through Friday (closed Thanksgiving). Get your tickets in advance and skip the line when you arrive! 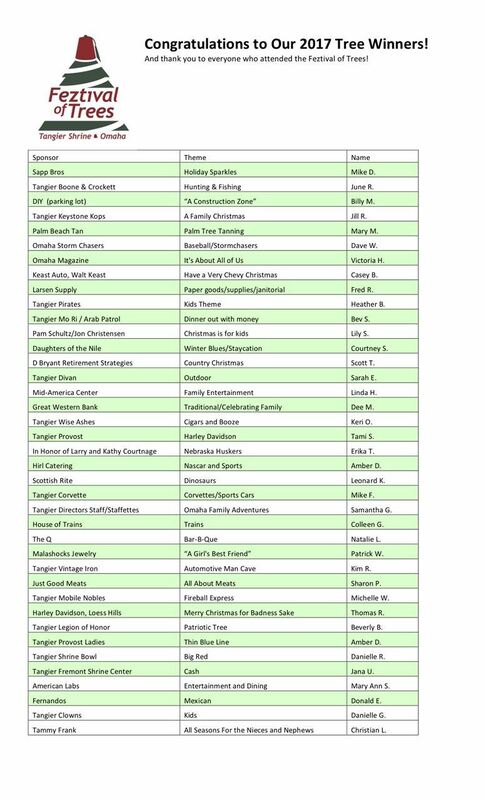 Buy raffle tickets for $1 each to WIN one of 40+ trees and associated prizes. Trees are valued between $500 and $12,000! Friday, Nov. 24 – 10 a.m. to 2 p.m.
Saturday, Nov. 25 – 10 a.m. to 2 p.m. Enjoy food & beverages in the Snowflake Café! Try one of our homemade frosting covered sugar cookies! Proceeds are for the benefit of the Tangier Shrine and are not tax deductible.